Today we have a very special episode for you – a 45-minute non-stop fishing action deep in the waters of Petersburg Alaska. 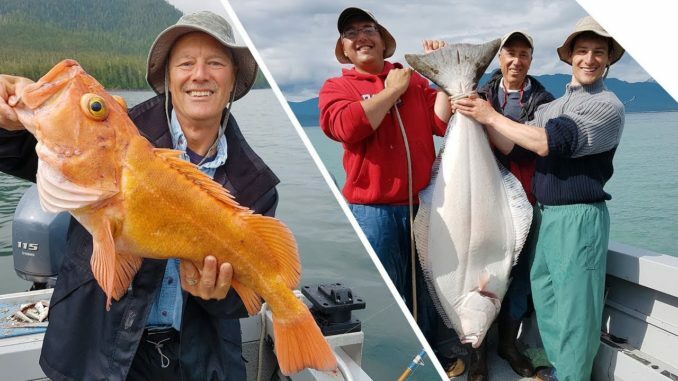 We baited up with Teaser-Ts and tandem rigs, whole and cut herring and get into a slew of big and unique fish – including Yelloweye, cod, a mystery fish, and a huge barn-door halibut! This really is fishing at it’s best. NUNCA JULGUE UMA ISCA ANTES DE USAR! Pescaria. Bluefin Tuna Fishing at The Claw with SI Flexi-Bar Squid Bars!! Ultra Light Tackle River Fishing | CATFISH & CRAPPIE!? FISH with GIANT TEETH BITES my FRIEND!